libido, and mood. However, estrogen conversion remains low, so unwanted side effects are avoided). 5-DHEA has been popular in the life extension crowd since the 1980’s. It’s typically used for its ability to support energy and general well being. More recently, higher doses of 5-DHEA have been used to improve body composition due to DHEA’s mild anabolic and thermogenic effects. This makes 5-DHEA an excellent choice for cutting during a calorie deficient diet, since 5-DHEA has good muscle sparing properties. 5-DHEA converts to testosterone at a rate of about 1%, however it has high conversion to 5-androstenediol, where it gets its mild androgenic and anabolic effects. 5-DHEA’s thermogenic properties come from its conversion to 7-OXO-DHEA. Due to 5-DHEA’s mild androgenic effects it rarely produces hair loss or acne. Although 5-DHEA has moderate estrogenic effects, it rarely produces gyno or undesirable estrogenic side effects. Some more sedentary users have reported anxiety or sleeplessness with DHEA, which is likely related to the neurosteroid activity in the brain. However, this effect is also reported as “motivational energy” which is a frequently reported benefit of 5-DHEA. Because of 5-DHEA’s wide range of benefits and its balanced hormonal properties it can easily be used for cutting, or to keep gains lean during a lean mass building cycle. Tri-Phase delivery system ensures that all of the compounds within Super DMZ Rx 5.0 are efficiently absorbed and utilized by the body. • Esterification: Estimated to increase Super Andro oral bioavailability by over 30%, this patent-pending enanthated delivery system substantially improves absorption rate, while further enhancing product effectiveness through an increase in product purity. This provides a significant advantage over traditional prohormone-based products. • 6, 7-dihydroxybergattomin: Working to improve oral bioavailability through inhibition of the P450 3A enzyme (the same mechanism employed by many pharmaceutical drugs), this compound not only improves the absorption rate of all the compounds within the Super DMZ 5.0 formula, but extends their half-lives as well. • Piperine: Derived from the black pepper plant, this extract has been clinically proven to increase the absorption rate up to 2000%+, greatly improving oral bioavailability and potentially transforming a marginally effective substance into a powerful therapeutic agent. The oral bio-availability or prohormones is notoriously low, making the use of an effective delivery system(s) absolutely critical for ensuring absorption. Just as traditional steroids require a delivery system (i.e. methylation) in order to be absorbed into the bloodstream, so to do prohormones require protection from the digestive and hepatic ravages encountered as a result of oral administration. In fact, without such a delivery system in place, these drugs are essentially worthless, regardless of how many compounds or number of mg’s a product might contain. Don’t be fooled. Using a prohormone product without the addition of a proven delivery system will result in nothing but a wasted paycheck. Anyone who has been around the bodybuilding community for a while will inevitably have heard of a class of compounds known as myostatin inhibitors. 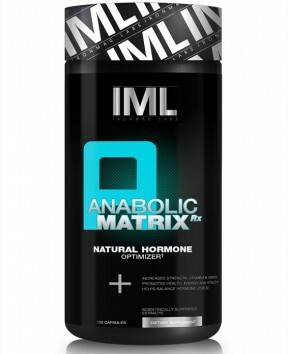 Functioning as size and strength gainers par excellence, these drugs have long been viewed as the Holy Grail of performance enhancement. As a naturally occurring myostatin inhibitor, follistatin plays a huge role in our ability to acquire muscle mass. 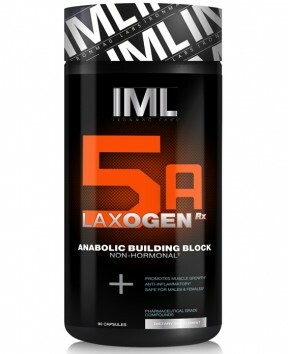 Quite simply, the more of this muscle sparing protein the body produces, the bigger and faster it will grow. Unfortunately, the body considers muscle tissue a metabolic liability and therefore, myostatin remains a continuous obstacle for the muscle seeking bodybuilder to overcome. 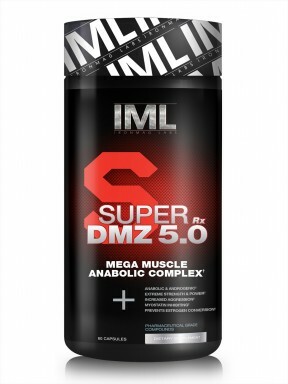 Super-DMZ Rx 5.0 tackles this problem head-on by employing one of the most effective natural myostatin inhibitors on the market, which has been clinically proven to not only increase follistatin production, but decrease myostatin levels as well. On top of that, this same compound has been shown to cause a substantial rise in several of the body’s most important growth regulators. Multiple compounds with the Super DMZ 5.0 formula have been clinically demonstrated to activate/inhibit key signaling cascades involved in the regulation of blood glucose, glycogen synthesis, fatty acid synthesis, transcriptional regulation, and cytokine-mediated inflammation. The end result of this manipulation is improved insulin sensitivity, decreased bodyfat, reduced systemic inflammation, and even improvements in the lipid profile. Often used interchangeably with the term muscular endurance, exercise capacity is more accurately defined as “the maximum amount of physical exertion an individual can sustain”. It is determined largely by the ability of the cardiovascular system to deliver oxygen to exercising skeletal muscle, as well as the ability of that muscle to extract oxygen from the blood. There are three primary factors which influence this process. These are: cardiovascular performance, pulmonary gas exchange and skeletal muscle metabolism. Playing an important role in muscle growth, sexual function/libido, and even fat loss, estrogen management is a crucial aspect of any bodybuilding program. By maintaining estrogen levels within a normal range and altering the conversion ratio of estrogen into its 3 primary metabolites, Super DMZ 5.0 fosters an environment in which estrogen’s benefits are maintained and its unwanted side effects minimized. 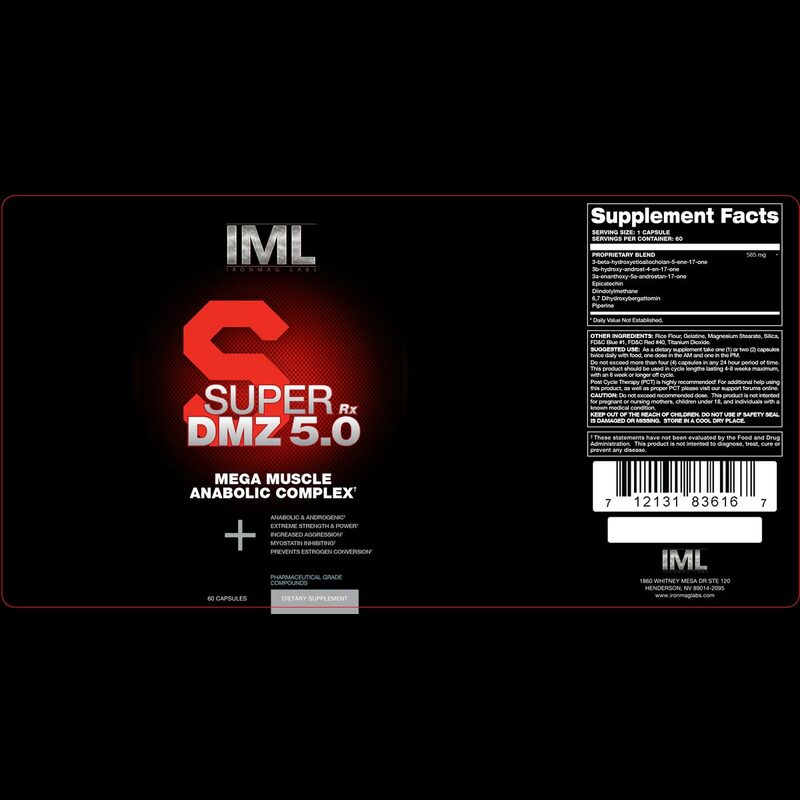 In addition, one of the components within Super DMZ 5.0 has been shown to antagonize the effects of dihydrotestosterone in prostate cells—both healthy and cancerous. This has obvious implications in the treatment/prevention of BPH (benign prostatic hypertrophy), prostate cancer, and other prostate related conditions. Unlike the prohormones of yesterday, none of the compounds within the Super DMZ Rx 5.0 formula are methylated. In bypassing this outdated delivery system, both hepatic and cardiovascular health are spared, allowing the user to administer the product with comparatively minimal risk. Other side effects typically present with methylated drugs, such as appetite suppression, lethargy and even depression are wholly absent with Super DMZ 5.0, making it a pleasure to use. In fact, many report a significant improvement in not only mood, but an overall increase in well being. 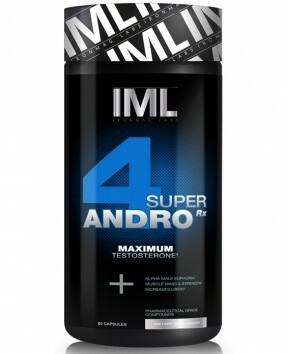 Super DMZ Rx 5.0 is the most effective, comprehensive, legal muscle building product on the market. 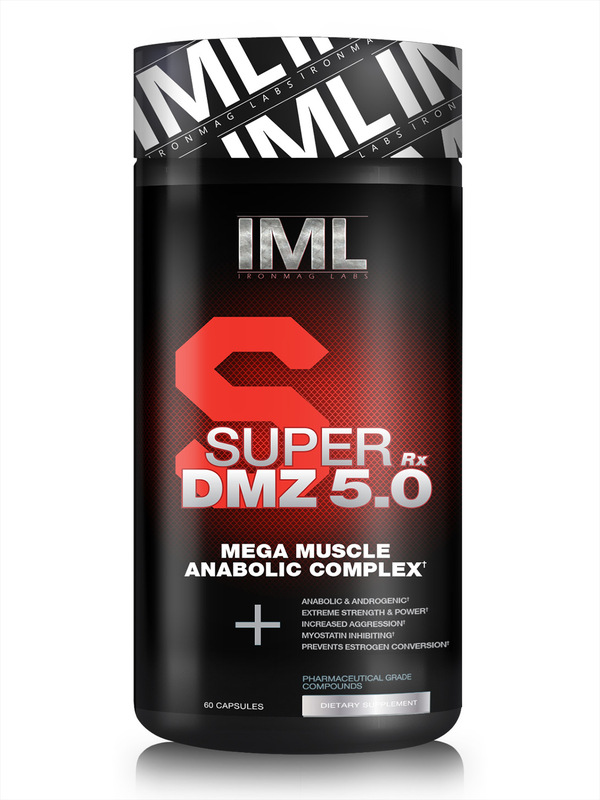 Utilizing the most advanced delivery technology available and a blend of highly synergistic, clinically proven ingredients, Super DMZ Rx 5.0 will deliver unparalleled gains in muscle mass, strength, and psychological/mental performance. The combined value of all compounds in Super DMZ 5.0, if one were to purchase them separately, would cost well in excess of $200. 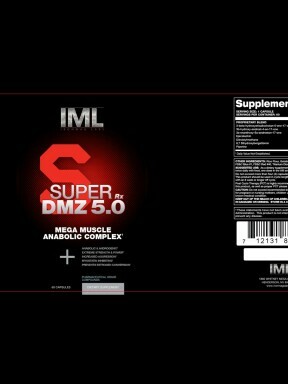 Welcome to the next generation of super supplements in the DMZ series.